Yes, you’re in for a delightful day at Lake Park. 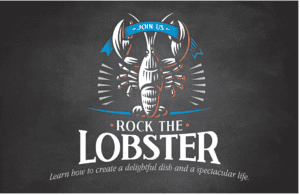 It all starts with a cooking demo from our own chef, who’ll start with a real lobster, show you step-by-step how to prepare it, and serve up a fresh sampling of lobster salad. (Not a big lobster fan? No worries — we’ll have Chicken Waldorf salad, too.) While you’re here, feel free to look around. Check out an apartment or two. Get the real scoop from people who live here. Look out a window and catch your breath, because this is a place with incredible views. Enjoy this chance to consider your options at this full-service community and see if it’s right for you. To RSVP fill out the online form here or call 1-866-384-3130, seating is limited.